SEOUL, South Korea — The 92-year-old South Korean woman wept and stroked the wrinkled cheeks of her 71-year-old North Korean son on Monday. It was their first meeting since they were driven apart during the turmoil of the 1950-53 Korean War. "How are you so old?" 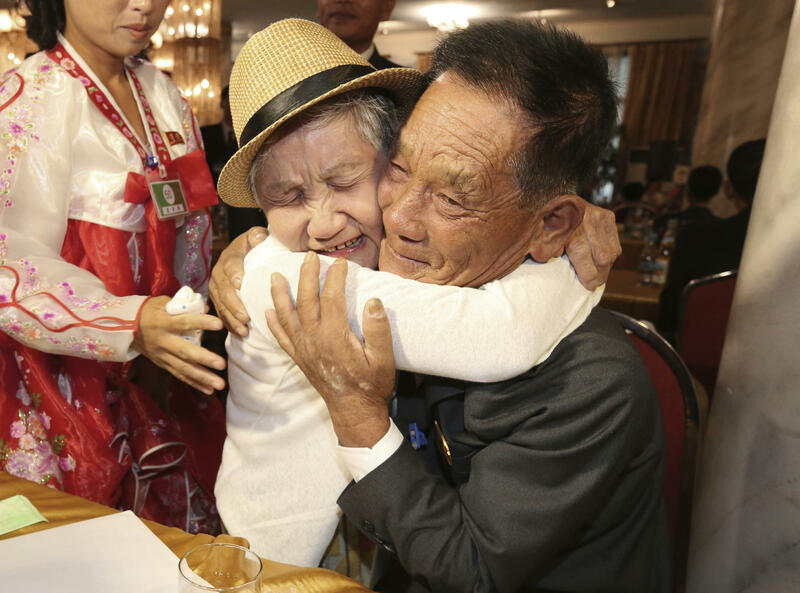 Kim Dal-in, 92, asked his sister, Yu Dok, Reuters news agency reports. "I've lived this long to meet you," the 85-year-old said as she wiped away tears. She could only say "Ah" and "When I fled..." before choking up with tears. Moon Hyun-sook, 91, said she gathered clothes, cosmetics and medicine to give to her two sisters, Reuters reports. "Whenever I saw pretty clothes, I always thought how cute they would look in them," she said.